#926 Link to this post, but load the entire thread. July 2nd, 2018 (11:35 AM). Edited July 2nd, 2018 by Lunacrest. #927 Link to this post, but load the entire thread. July 15th, 2018 (9:06 AM). Edited July 15th, 2018 by Chevitile. I named myself Violet and picked Froakie as my starter, whom I had to use quite a bit in the beginning due to the lack of purple Pokémon available. Once I beat Viola, I skipped as many trainers as I could and went to Route 7 as quickly as possible to catch an Illumise. She was a temporary team member until I could get an Old Amber in Glittering Cave, which I later revived into Aether the Aerodactyl, my first official team member. Soon after, I swiftly made my way to Route 10 to catch a Snubbull before entering the second gym. Once Methis the Snubbull was caught, I backtracked to face all those trainers I had previously skipped to earn some Exp. Points for my new team members. Afterwards, I challenged Grant, which I wasn't too confident about. Methis' Intimidate helped against Tyrunt, and Aether faced off against Amaura - not an easy task due to its Refrigerate ability, but we pulled it off. Next, I continued to Geosenge Town, where I faced off against Korrina. Thank goodness her Lucario don't carry damaging Steel-type moves, or else I would have been screwed. Once defeated, she let me pass to Route 11, where I caught two new team members: Thanatos the Stunky and Atlas the Nidoran (M). 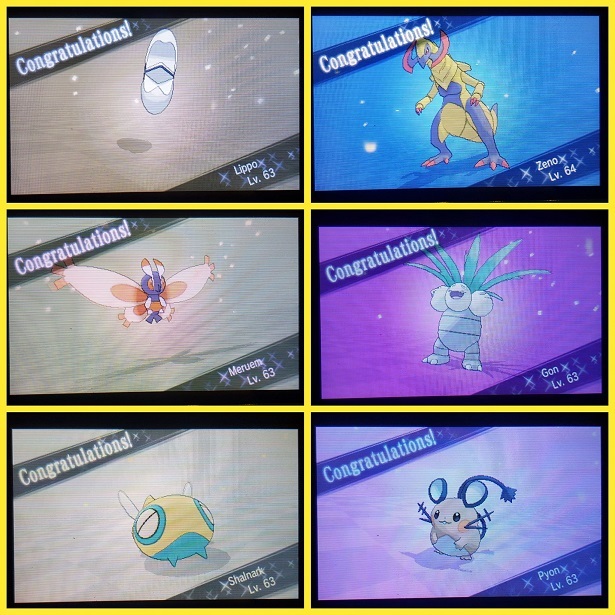 As with Aether and Methis, I trained these new members up on trainers I had previously skipped, and going through Glittering Cave also provided some nice leveling up. My first order of business in Shalour City was to go to the Tower of Mastery, facing off against and defeating Calem in the process. 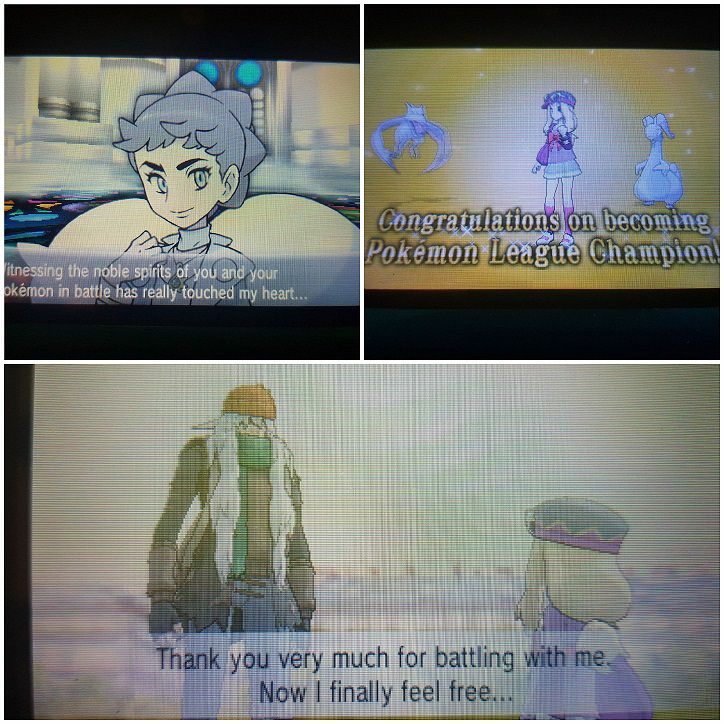 With that over, I challenged the gym and defeated Korrina pretty easily since none of my team members are weak against Fighting-types, although some of my victory definitely came from Atlas and Methis resisting her moves. Otherwise, Power-Up Punch would have hurt a lot. With the third badge in my hands I returned to the Tower of Mastery and partook in a mirror match against Korrina, winning and equipping the Aerodactylite onto Aether afterwards. Sorry for the horrible quality of the attachment, hopefully the next one will be better. #928 Link to this post, but load the entire thread. July 18th, 2018 (4:53 PM). I do want to ask, is ORAS considered Gen 3 or 6? #929 Link to this post, but load the entire thread. July 18th, 2018 (11:22 PM). For this challenge, it's about the Regions, not the generations. So Hoenn can be done on R/S/E or OR/AS. #930 Link to this post, but load the entire thread. July 19th, 2018 (3:52 AM). Out of curiosity, are hacks permitted? I actually did a Mono-Red on Emerald long ago, so why not try with some other colors? #931 Link to this post, but load the entire thread. July 20th, 2018 (4:02 AM). Based on the original post, 386/493/649 hacks are permitted. Good luck on your challenge. #932 Link to this post, but load the entire thread. July 20th, 2018 (4:07 AM). #933 Link to this post, but load the entire thread. July 20th, 2018 (3:27 PM). Completed my Yellow Yellow run! #934 Link to this post, but load the entire thread. July 21st, 2018 (1:34 PM). #935 Link to this post, but load the entire thread. July 23rd, 2018 (8:50 PM). Also would like to start another run. #936 Link to this post, but load the entire thread. July 28th, 2018 (3:23 AM). MonoYellow on Gold complete! Figured I shouldn't have to grind if I bring enough potions and whatnot for Red. Am going to start a yellow run on X now, followed by AS if I have time. #937 Link to this post, but load the entire thread. July 30th, 2018 (5:18 AM). Yellow run on X, complete! 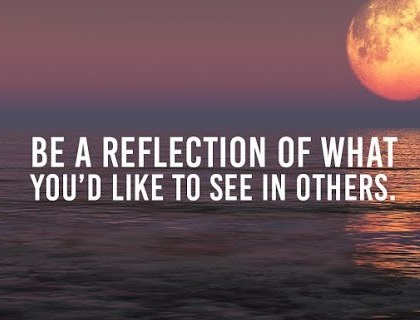 I'll do my AS run when I get a chance, will start getting busy. #938 Link to this post, but load the entire thread. August 24th, 2018 (5:09 AM). Edited August 24th, 2018 by Chevitile. Naturally, I counted on Atlas to solo Clemont, which he did. Despite not having a Ground-type attack, Poison Jab took care of Emolga without any major hassle, and Power-Up Punch was super-effective against both of his remaining Pokémon. Continuing on to Route 14, I faced off against Calem and then searched for and caught my final team member, Hestia the Goomy. I tried levelling her up a bit on the remaining trainers on the route, but without much success. As for the Laverre gym, I originally thought I would struggle a bit, but it was actually a lot easier than I anticipated. Luckily, Thanatos carries Flamethrower - this ensured a fairly simple KO on Mawile, and Mr. Mime didn't stand a chance against Thanatos' typing and moves. Though somewhat bulky, Sylveon also easily went down to two Poison Jabs. Six badges earned! Before I could continue to Anistar, I had to do a quick raid inside the Poké Ball Factory to get rid of Team Flare. With that over, I made my way to Anistar City to obtain my next badge. Aether, having mega-evolved, used Crunch to easily defeat Meowstic and Sigilyph, and Thanatos battled Slowking for another victory. Next up commenced all of the Team Flare stuff, which was veeeery straightforward. 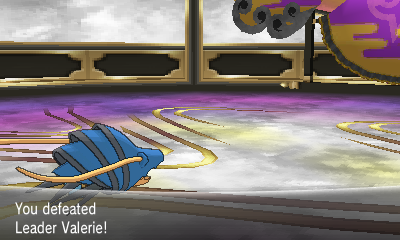 I usually struggle a little bit with some battles, especially against Lysandre, but that wasn't the case this time. 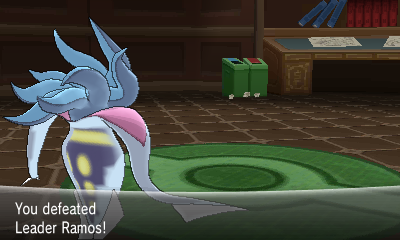 So, in short, I saved Kalos. This finally allowed me to go after my final gym badge in Snowbelle, with a quick stop in Couriway Town along the way. Ice isn't the best defensive typing, but I also didn't have a lot to counter with - in fact, half of my team is weak against the Ice-type. Because of this, Nerites actually found itself very useful, being able to take hits fairly well (bar Freeze-Dry) and fire off Water-type moves for some solid damage. Aether had also recently learned Iron Head, which was also very useful. Regarding Wulfric, Thanatos faced off against Abomasnow, eventually defeating it (can you believe neither Flamethrower nor Poison Jab were enough to OHKO?) and paving the way for rather easy KO's on Cryogonal and Avalugg. Having trekked through Victory Road, I found myself about to challenge the Pokémon League. 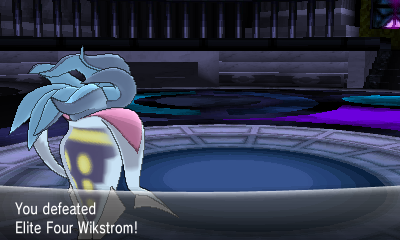 I decided to start off against Wikstrom. Atlas did a fantastic job here, sweeping his entire team with a majestic combination of Power-Up Punch and Earthquake. Very smooth battle! Next up, Drasna. 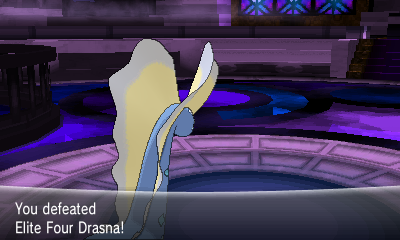 Nerites' Ice Beam took down Dragalge to the yellow HP zone, and I somehow managed to survive a Thunderbolt from it. 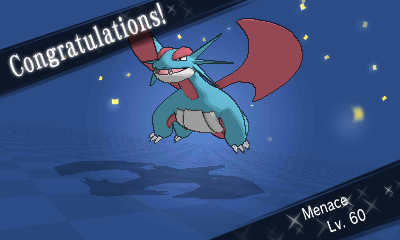 With Druddigon having been sent out, Methis had to take over. Return and Play Rough nabbed a KO for me, and I also healed up Nerites so he could sweep the rest of her team using Ice Beam. 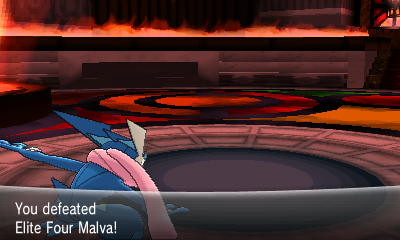 Aether Mega Evolved to take out Malva's first Pokémon Pyroar with a Rock Slide. I wanted to attempt a Shell Smash sweep with Nerites, but felt that Pyroar could foil my plans the easiest. So once it was out of the picture, I sent in Nerites and set up on Torkoal, then proceeding to use Surf for OHKOs on the rest of Malva's team. I relied on Hestia to defeat Siebold because of her nice super-effective coverage in Thunderbolt and Power Whip, but I had a bit of a rocky start. Clawitzer's Mega Launcher-boosted Dragon Pulse hurt quite a bit, and Hestia didn't manage OHKOing it. Luckily, I outsped it, so it eventually went down. Thanatos had to come in for Starmie because I was afraid of Ice Beam. Night Slash didn't land a crit so it became a 2HKO, but Starmie was fairly close to KOing Thanatos as well - it used Surf twice, leaving me in the red HP zone once it was defeated. The rest, however, was a cake walk. Thunderbolt OHKO'd Gyarados (didn't expect outspeeding it though), and Power Whip OHKO'd Barbaracle. I knew Nerites would be a good choice against Hawlucha, because of its high Defense and ability to hit super effectively with Ice moves. Flying Press didn't even bring me down to half, and then a critical hit Ice Beam took it down in one shot. Next up was Tyrantrum, and I sent in Methis to get an Attack drop on it thanks to Intimidate, and then Play Rough and Earthquake sufficed for a 2HKO. I let Thanatos come in against Aurorus, mostly because it was one of two members who wouldn't be weak against its Ice-type moves. Toxic was very helpful here, since none of my moves dealt very much damage (it had just set up Reflect). Luckily, Blizzard missed a lot, so it didn't inflict very much damage on me either. Naturally I wanted to try a mirror match against Goodra, and despite being 2 levels lower, Hestia outsped and dealt more damage to the opposing Goodra. Two Dragon Pulses brought it down. Ideally, for Gourgeist, I'd send in Thanatos because of the superior typing. However, I wanted to give Atlas some love. I knew its moveset wouldn't result in any OHKOs, but I figured Poison Jab could maybe deal some damage. Trick-or-Treat was indeed tricky, making me weak to both Phantom Force and Shadow Sneak. The pattern in which Gourgeist used these moves was fairly predictable though, so Atlas could snag a KO after some hits and some healing. Of course I had to save Aether for Gardevoir to get a Mega showdown. 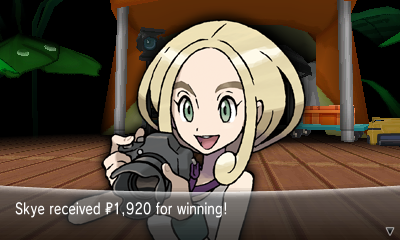 It was short-lived though - one Iron Head was enough to OHKO Gardevoir, making me the Champion of the Kalos region. Lastly, I also faced AZ and won easily with a Shell Smash sweep. I have yet to decide my next monocolor challenge, and might do something on Gen 7 for some variety. #939 Link to this post, but load the entire thread. October 22nd, 2018 (9:05 PM). #940 Link to this post, but load the entire thread. November 6th, 2018 (6:50 PM). Edited November 11th, 2018 by Sheep. i want a challenge to do over the weekend \o/ so..
#941 Link to this post, but load the entire thread. December 13th, 2018 (7:58 PM). Edited December 13th, 2018 by Halfcadence. Nothing major to report, things have been going pretty smoothly. For a lot of the first island I probably had too many ghost types, but that evened out over time. I've got 5/6 members of my planned final team, with Haunter the last one that's going to be swapped out. The reason I'm doing a play-through on Moon at the moment is to prep myself to complete a Living Dex, so I'm catching a lot more dudes as I go than I normally would, so my levels are a bit higher than usual, forgive me. I mention this every time I get to use it, but Acrobatics is way too good of a move. I had two STAB users of it at one point (Crobat and Drifloon). Insane. #942 Link to this post, but load the entire thread. December 29th, 2018 (10:10 PM). Hey guys, I am finally able to continue my monocolor challenges (and eventually monotypes as well)! So you'll be seeing a lot more posts from me, yay! Starting with Blue on X. 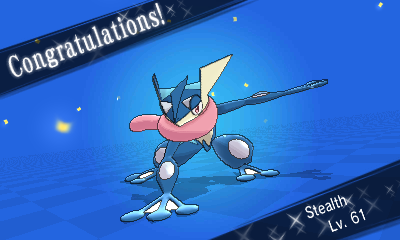 Started with Stealth the Froakie, and we battled our way to Santalune City. Took on the gym, and beat Viola pretty easily with Stealth's Water Pulse. 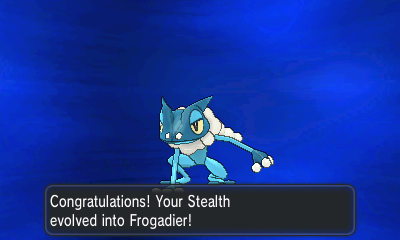 After the battle, Stealth evolved into Frogadier! Got through Route 4, Lumiose City, Route 5, and Camphrier Town as quick as possible to get to Route 6. Trained Psycat up on any trainers I skipped earlier, then moved on with the Parfum Place plot and waking Snorlax. Defeated Trevor and Tierno on Route 7 alongside Calem, then moved on through Connecting Cave to Route 8. It took me a long time to find Bagon, and of course I killed one accidentally with a crit, but I finally nabbed Menace the Bagon! Went through Route 8 to Ambrette Town and then rode a Rhyhorn to Glittering Cave. Defeated Team Flare and found the Scientist, who gave me the Sail Fossil. 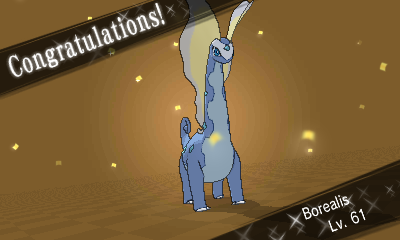 Revived the Sail Fossil into Borealis the Amaura! Made my way to Cyllage City, where I got the Bike, then took on the gym. Grant was a bit frustrating, but eventually Stealth was able to come in and blow away both his Pokemon with Water Pulse. 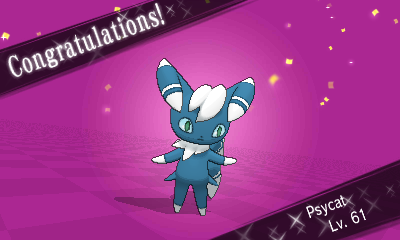 I forgot to get screenshots of Froakie, Amaura, and Bagon, but here are the rest. #943 Link to this post, but load the entire thread. January 1st, 2019 (7:23 PM). Edited January 1st, 2019 by jdthebud. Time to start off the New Year with another update! 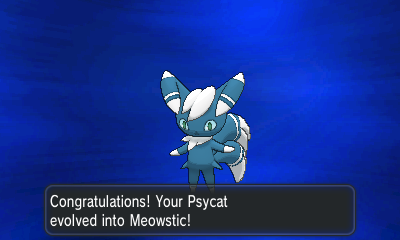 Went through Route 10 and found Team Flare again, and Psycat evolved into Meowstic! 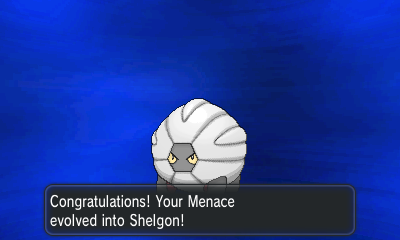 Got through Route 11 to Reflection Cave, and on to Shalour City, and Menace evolved into Shelgon! 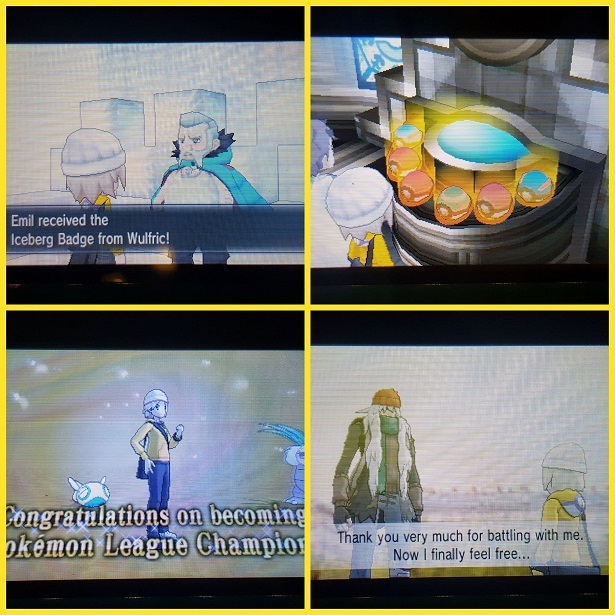 Went to the Tower of Mastery to learn about Mega Evolution, and defeated Calem. Challenged the gym. Korrina wasn't too difficult with Psycat winning in the end. Back in the Tower of Mastery, I got the Mega Ring and Lucario, who (sadly) went to the PC. Got Surf from Calem, then made my way to Courmarine City, where I picked up the Good Rod. 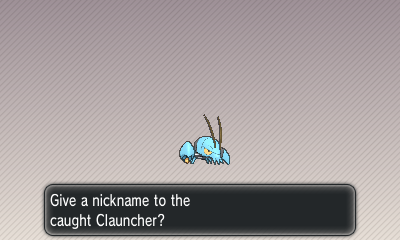 Used the Good Rod back on Route 8 to fish up Blaster the Clauncher. Then I surfed to the Azure Bay grass, where I caught Inver the Inkay to round out my team. 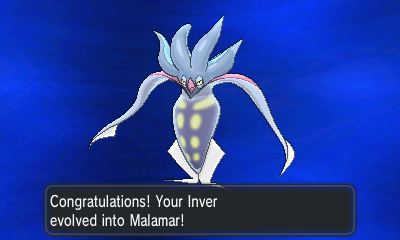 Trained them up on the trainers between Shalour and Courmarine, and Inver evolved into Malamar! Then I took on the Courmarine gym, defeated Ramos mostly thanks to Inver's Trick Room + Aerial Ace and Borealis's Ice moves. #944 Link to this post, but load the entire thread. January 17th, 2019 (9:13 AM). Edited January 17th, 2019 by Chevitile. Nice to see you back, jd! I currently have some time off, so I got started on a Yellow run on Pokémon Y. ♦ I started up the game and obtained my starter, Chespin, with whom I quickly made my way towards Santalune City through the forest. ♦ On Route 3, I caught a Burmy that I named Meruem, and a Dunsparce that I named Shalnark. ♦ Before taking on the gym, I leveled these two up a bit (Meruem only knew Protect until Lv 10, so that was a bit tedious). I challenged Viola and beat her easily thanks to Shalnark’s Defense Curl + Rollout combo. ♦ Continued on to Lumiose City, where I made a quick stop at Sycamore’s lab as well as Lysandre Café, and then I headed towards Camphrier Town. ♦ Once there, I retrieved the Poké Flute from Parfum Palace to wake the sleeping Snorlax blocking the path on Route 7. ♦ With that out of the way, I could make my way to Ambrette Town. In Connecting Cave, I caught Zeno the Axew. ♦ Before moving on to Cyllage City, I went to Glittering Cave to beat up some Flare grunts. 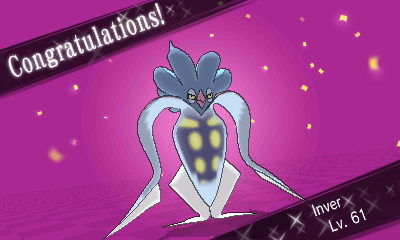 While in there, I encountered a Lunatone that I caught and named Lippo. ♦ I decided to train up my two new team members before moving on towards Cyllage City. ♦ Once I was done with that, it was gym time. Grant was no pushover – I believe I tried three times before defeating him, thanks to Shalnark’s Yawn, Defense Curl and Ancient Power (from which I got three stat boosts thanks to Serene Grace). 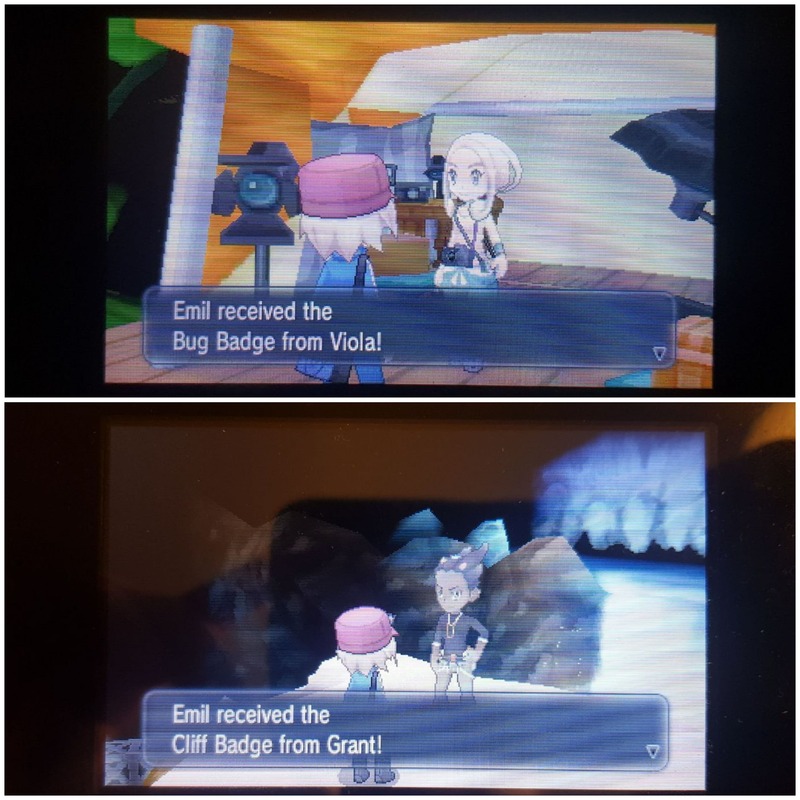 ♦ With the second badge in my hand at last, I travelled to Geosenge Town. 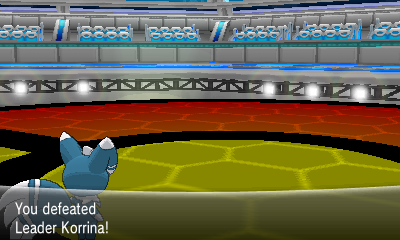 ♦ The battle against Korrina and her two Lucario proved quite easy, but all thanks to Zeno’s Dragon Rage. ♦ Before entering Reflection Cave, I spent quite some time looking for a Dedenne. I eventually found one and named it Pyon. ♦ After having gone through Reflection Cave, I decided to save in Shalour City. #945 Link to this post, but load the entire thread. January 23rd, 2019 (2:08 PM). Saved the Power Plant from Team Flare, then headed south back to Lumiose City. Clement turned the power back on to the gym, and I headed inside. 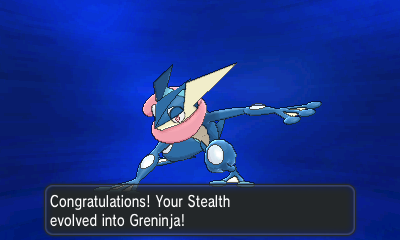 On my way up the levels, Stealth evolved into Greninja! Clemont wasn't too difficult to defeat. 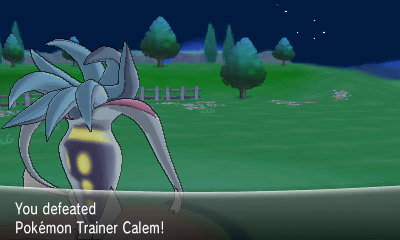 Moved on to Route 14, were I defeated Calem again, then continued to Laverre City. 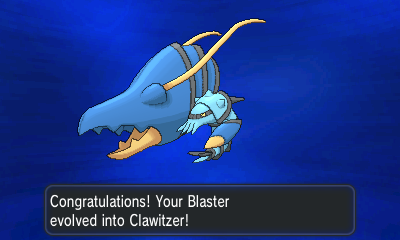 Along the way, Blaster evolved into Clawitzer! 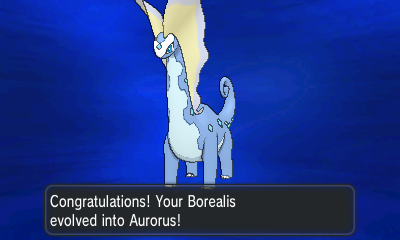 Took on the gym, and just before the Leader, Borealis evolved into Aurorus! 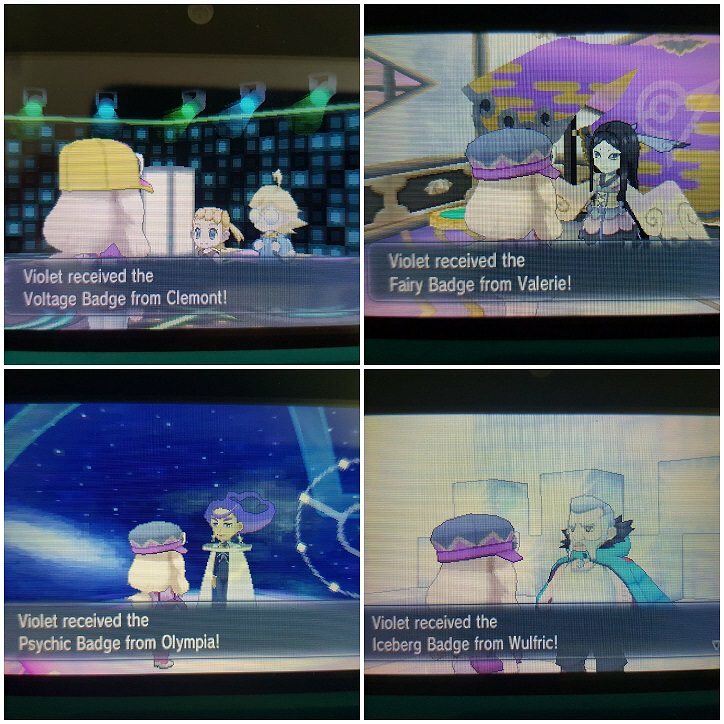 Valerie was pretty easy to take down and I got my 6th badge. Defeated Team Flare in the Poke Ball Factory, then continued on through Route 15 to Dendemile Town. After a quick visit to the Move Reminder, I headed to Frost Cavern to save the Abomasnow from Team Flare. After that I explored Route 16, then headed through Route 17 to Anistar City. After defeating Calem again, I took on the gym. Olympia was pretty easy with all the Dark types on my team. Lysandre then annouced his evil plans, so I went to his cafe to stop him. After the ultimate weapon was activated, I followed Team Flare over to Geosenge Town. 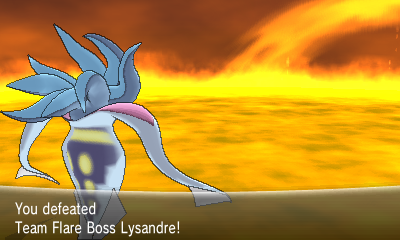 After disposing of the Flare admins and catching Xerneas, I took on Lysandre for the final time. It took most of my team to win. I am now saved back in Anistar City. #946 Link to this post, but load the entire thread. January 25th, 2019 (9:49 AM). Edited January 25th, 2019 by Chevitile. Second update for my Yellow challenge on Y! ♦ I made my way up north to the Tower of Mastery, defeating Serena after some chit-chat about Mega Evolution. ♦ Back in Shalour, I faced off against Korrina. Pyon was very useful with Nuzzle and Charm, but the rest of the team also helped defeat her. 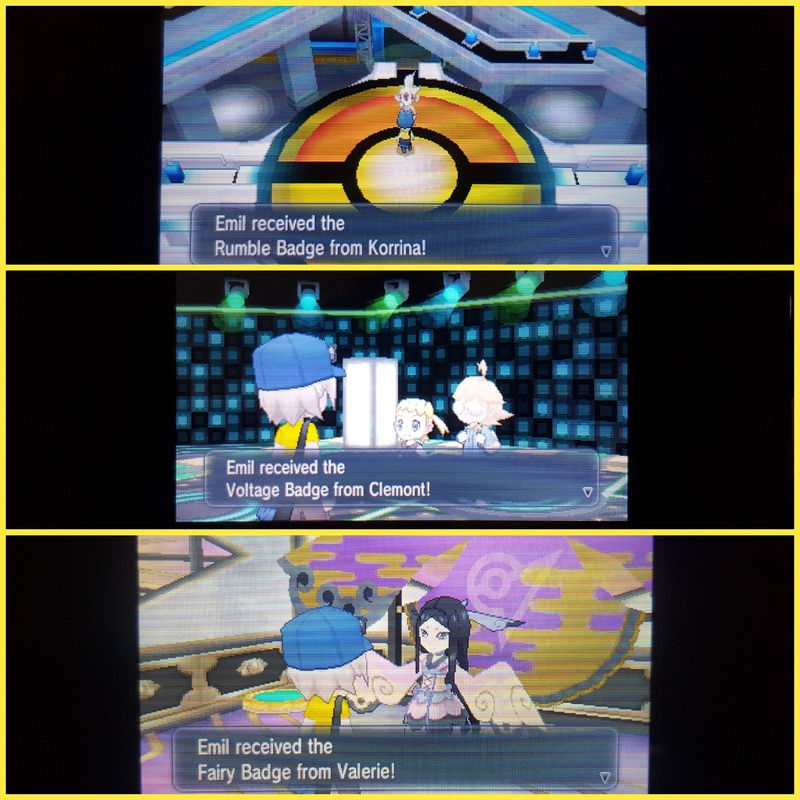 ♦ With 3 badges, I made a quick detour to the Tower of Mastery for a mirror match against Korrina. I then continued to Coumarine City via Route 12, where I caught Gon the Exeggcute. ♦ Before taking on the gym, I was once again challenged by Serena, whom I defeated fairly easily. ♦ The Coumarine gym trainers were a cake walk thanks to Meruem. 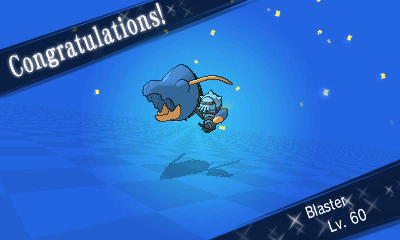 His super effective attacks made easy work of them, but Ramos was slightly more challenging, mainly due to Jumpluff’s Speed and moveset with Acrobatics and Leech Seed. Once it was defeated, the rest of the match went much more smoothly, earning me my fourth gym badge. ♦ Afterwards, I went south to the Lumiose Badlands and took care of Team Flare in the Power Plant before moving on to Lumiose City. ♦ Once there, I went straight to the gym. At this point, I was starting to lag behind a bit level-wise (I had had the Exp Share turned off ever since the beginning), and it was definitely noticeable with the gym trainers. Nevertheless, I pushed forward and reached the top floor. ♦ Clemont was pretty tough. Magneton’s Thunderbolt under Electric Terrain really packed a punch, and Shalnark was the only useful team member against it thanks to Dig. It eventually went down, but not without many healing items. 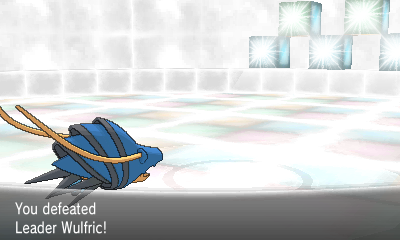 Heliolisk was slightly easier to take down, and Emolga didn’t really put up a fight at all. Fifth badge earned! ♦ After a quick stop at Lysandre Café, I continued towards Laverre City through Route 14, where I once again battled Serena and won. ♦ Having made it to Laverre, I decided to challenge the gym. I believe I turned on the Exp Share at this point just so I wouldn’t fall flat on my face against ordinary trainers, lol. ♦ Despite being somewhat underlevelled, I didn’t struggle against Valerie. I believe Shalnark and Lippo brought down Mr. Mime, and Pyon fought against Mawile (I wanted to lower its Attack with Charm but forgot about Hyper Cutter, but it still worked out). Prior to the fight, I had also taught Gon Toxic and combined this with Meruem’s Venoshock against Sylveon and secured my victory. ♦ Next, I went to the Poké Ball Factory and reclaimed it from Team Flare, getting a Master Ball as a thank you gift. ♦ Saved in Laverre City. I forgot to take a screenshot after I defeated Ramos. #947 Link to this post, but load the entire thread. February 11th, 2019 (7:17 PM). Final Update (#4) on X! 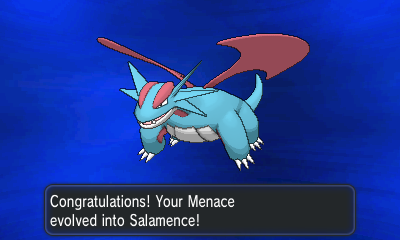 Moved from Anistar City to Couriway Town, and Menace finally evolved into Salamence! 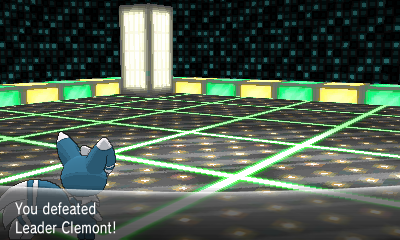 Explored Terminus Cave, then beat Professor Sycamore pretty easily back in Couriway. Continued on through Route 19 and defeated all my friends on the bridge to Snowbelle City. Explored the Pokemon Village to find Wulfric, then I took on the Snowbelle Gym. Wulfric was a pushover with all my fighting moves. I kept moving forward through Route 21 and finally arrived at Victory Road. Victory Road was a bit of a slog since my team was a little underleveled here. 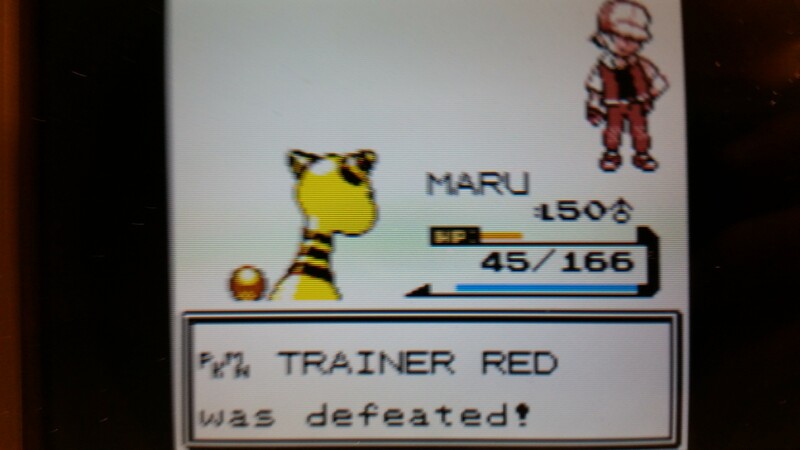 Halfway through, I defeated Calem for the final time, then at last I made it to the Pokemon League. 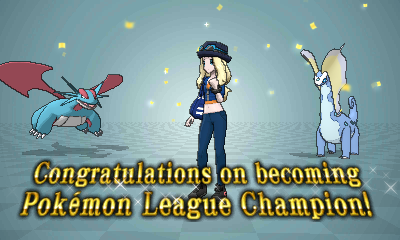 Finalized movesets and got everyone to L60, then took on the Elite Four. Somehow I soloed each Elite Four with four different Pokemon. Stealth soloed Malvo with the help of a crit on Pyroar. Psycat somehow soloed Siebold with Calm Mind+Thunderbolt, with the help of a crit OHKO on Clawizter. Inver took care of Wikstrom handily with the help of Superpower boosts. Borealis easily soloed Drasna with her Refrigerate + Nature Power->Tri Attack combo. 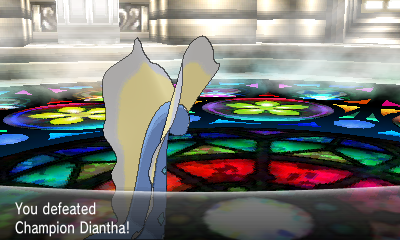 Finally, it was time to face Diantha. She was really tough to beat, but I finally got the right combination to win. Blaster shined here. Psycat VS Hawlucha: Swords Dance, Psychic OHKO, Hawlucha fainted! VS Aurorus: Aura Sphere OHKO, Aurorus fainted! VS Tyrantum: Dragon Pulse OHKO, Tyrantum fainted! VS Goodra: Dragon Pulse (B), Dragon Pulse (G), Blaster fainted! Inver VS Goodra: Focus Blast, Psychi Cut, Dragon Pulse, Night Slash, Goodra fainted! VS Gardevoir: (Gardevoir Mega Evolved!) Moonblast, Inver fainted! Stealth VS Mega Gardevoir: Moonblast, Stealth fainted! Psycat VS Mega Gardevoir: Shadow Ball (G), Shadow Ball (P), Psychic, Psycat fainted! Menace VS Mega Gardevoir: Moonblast OHKO, Menace fainted! Borealis VS Mega Gardevoir: Moonblast, Nature Power->Tri Attack, Moonblast, Nature Power->Tri Attack, Mega Gardevoir fainted! #948 Link to this post, but load the entire thread. 1 Week Ago (6:21 AM). This thread will never die! I've started to continue my green monocolor on X, so look forward to seeing an update on that in the near future! Got one badge and 2 Pokemon so far. #949 Link to this post, but load the entire thread. 1 Week Ago (4:04 AM). #950 Link to this post, but load the entire thread. 1 Week Ago (7:08 AM). Edited 1 Week Ago by Chevitile. 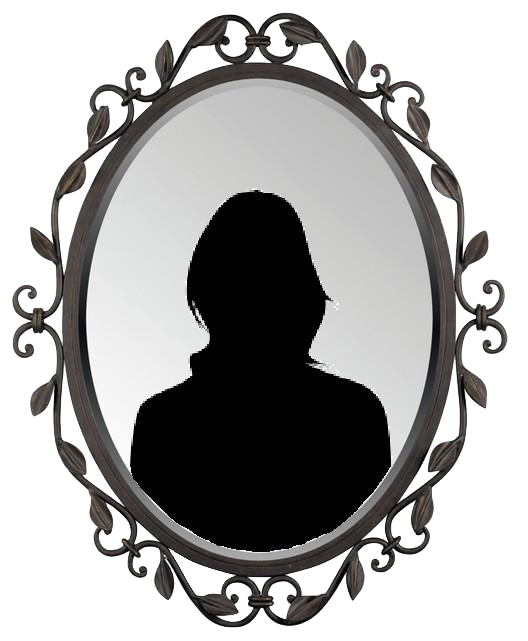 ♦ I left Laverre and headed for Dendemille Town, north of which Frost Cavern was situated. I decided to enter and get rid of Team Flare. ♦ Continued towards Anistar City and battled my rival in front of the gym before taking it on. I wanted Zeno to sweep her with Dragon Dance and Shadow Claw, but Sigilyph put an end to this plan due to a crit. Pyon had to come in, who was extremely helpful against her Pokémon. ♦ After getting the 7th badge, I had to save the world and disband Team Flare. Nothing special. ♦ With that out of the way, Snowbelle was my next destination. Wulfric was a complete pushover – Shalnark was able to sweep him with super-effectiveness. ♦ Victory Road was next, which I got through fairly quickly. Also ran into my rival, whom I defeated one final time. 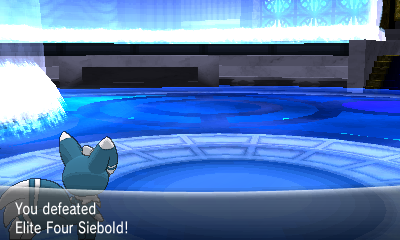 ♦ At the league, I decided to start with Siebold. Pyon and Gon took care of him easily. ♦ Next up was Wikstrom, against whom Zeno and Shalnark teamed up. Zeno’s Earthquake was very useful, as was Shalnark’s Flamethrower (surprisingly, Shalnark survived an Iron Head from Scizor). ♦ Drasna required more of a team effort. Lippo’s and Pyon’s Fairy-type moves proved very helpful, and Shalnark had to come in and fire off some Ice Beams as well. Meruem also got a hit in with Hidden Power. Poor thing hadn’t been used much in the league. ♦ Malva was not much of a threat. 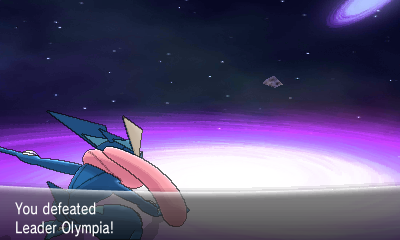 Zeno took out most of her Pokémon with Dragon Dance + Earthquake, though Lippo finished off Talonflame with a Rock Slide. ♦ Lastly, I faced off against Diantha, and I made sure to use my entire team in this battle. 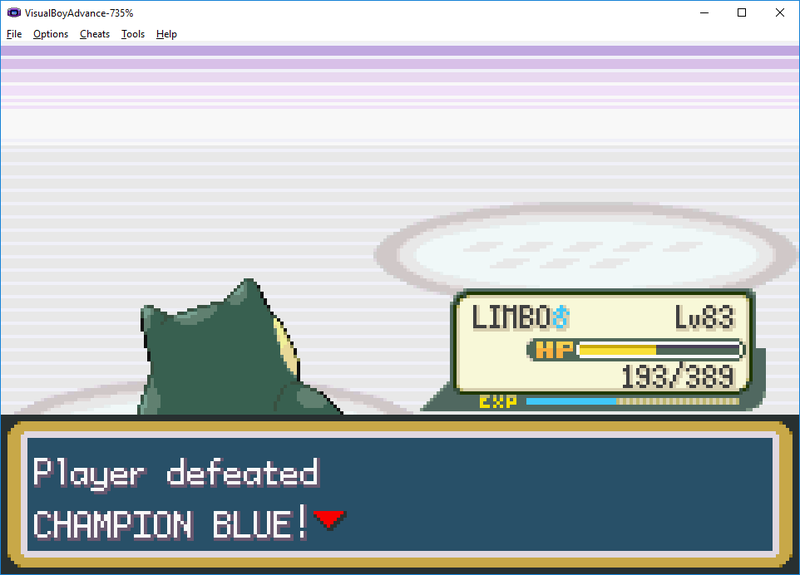 Lippo was up first against Hawlucha, who went down in a single hit. I brought in Shalnark against Tyrantrum, which was a bit of a struggle, but we prevailed in the end. Zeno took down Goodra, and I actually had to have the entire team help against Aurorus, but Gon got in the KO. Gourgeist frankly wasn’t too threatening, and Meruem defeated it with Air Slash and Hidden Power. Finally, her Gardevoir had to be ganged up on – Pyon paralyzed it with Nuzzle and fired off a Thunderbolt before fainting, after which Gon snagged the victory with a Sludge Bomb. 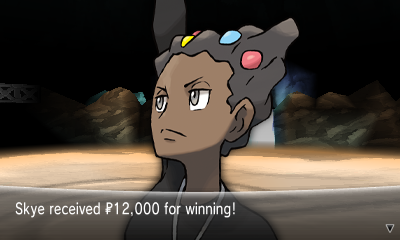 ♦ And afterwards, I battled AZ and won thanks to Lippo and Gon.